to design an exhibition stand. 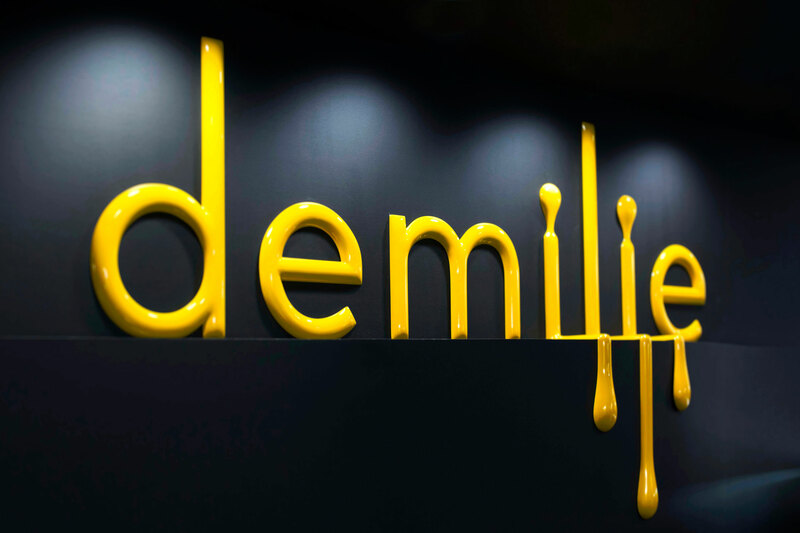 Demilie produces various flavors of creamed honey and sells it in beautifully designed packaging. 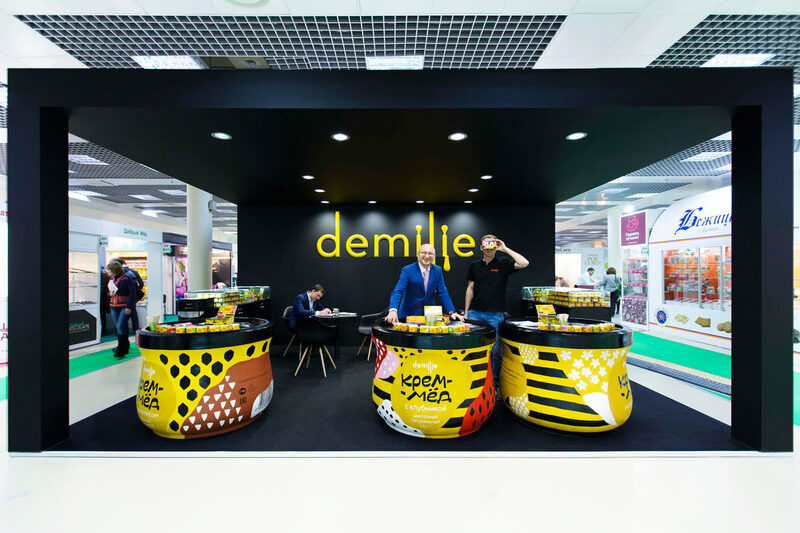 To present the company at the Prodexpo 2017 exhibition, an attractive stand was designed at the studio. The volumetric logo in the center of the stand can be seen both from the front and from the sides. The honey letters trickle down the wall. Showcases with honey jars separate the stand from the rest of the pavilion. 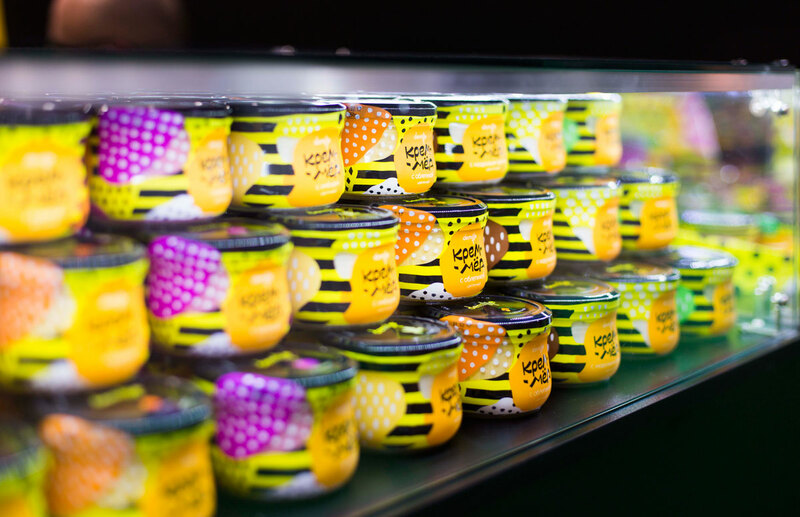 Visitors are invited to try various flavors of creamed honey and go on a flight on the company’s website.